Tired of your usual over-the-counter spreads? Making your own tuna spread is as easy as 1-2-3! 1. Remove the liquid from the canned tuna. 2. 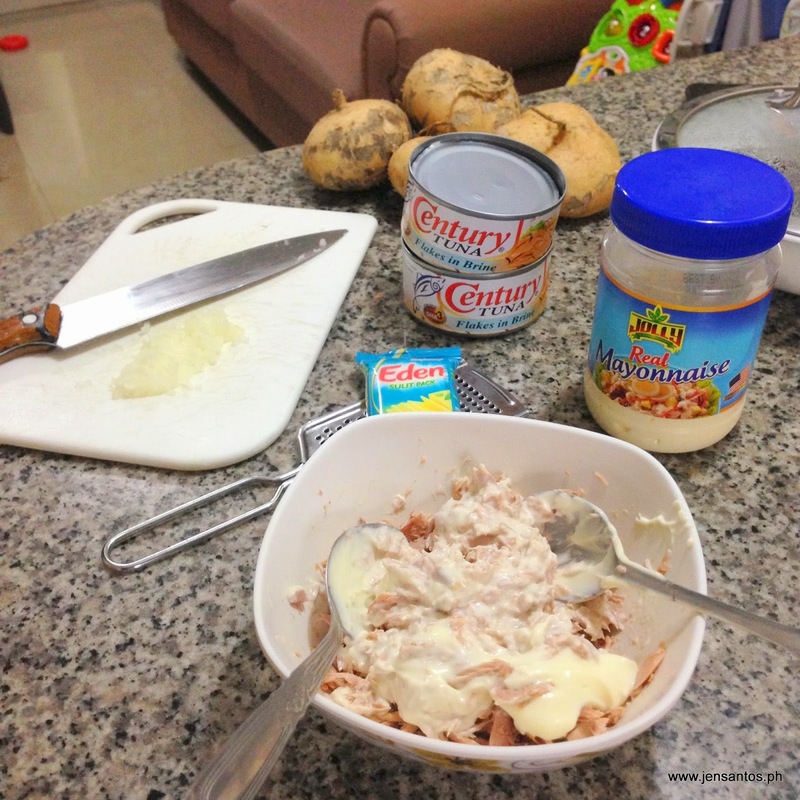 Combine tuna, mayonnaise, white onion, cheddar cheese, sugar, and celery. Mix well. 3. Taste the mixture then add salt and pepper if needed. 4. Depending on the people who will eat the sandwich, you can opt to put sweet pickle relish to add a little bit of "contrast" to the flavor. My husband doesn't like pickles so I did not put any in my mixture anymore. Just to note though, you might wanna put in pickles if mabilis kang maumay. 5. Spread the tuna mixture in a bun or loaf bread and toast.